John and Sue, the homeowners, and I designed this deck together. There is almost as much wood underneath for support as there is above and it took over a week to build. John and Sue make great use of their deck. Could it be true that we are starting to see the end of winter? No one could fault us for thinking about tossing our touques and gloves aside to briefly dream of patios, barbeques and a cold beverage. Much like inside your home, your outdoor space can be divided into functional areas. Consider how you use your yard — both front and back. Do you have children who need space to play within sight? Many of us like to have easy access to the barbeque plus a place to eat. Might you enjoy taking the morning coffee and paper outdoors? Think also about storage (lawn mower and bikes) and lighting. 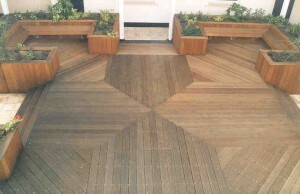 If a deck is in your renovation plans, consider what features will be important to you. Your neighbours may be great, but perhaps you’d like to incorporate a privacy feature. to wrap around their sun room. 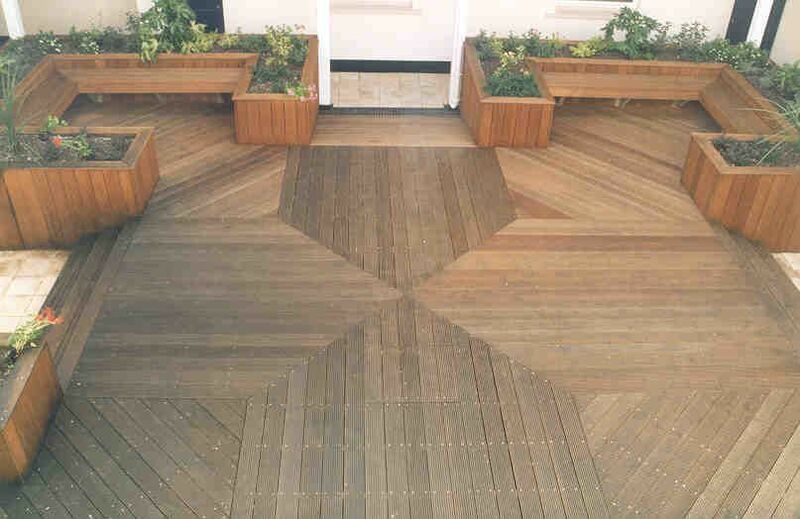 While we’re talking about exposure, perhaps you’ll situate your deck where it will naturally get shade from a tree or the house, or we can incorporate man-made shade into the deck design.